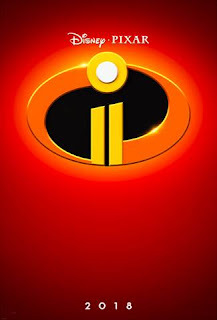 I’m so excited to share with you an all-new teaser trailer, poster and image fromDisney•Pixar’s INCREDIBLES 2that opens in theatres everywhere June 15th, 2018! ABOUT THE MOVIE Everyone’s favorite family of superheroes is back in “Incredibles 2” – but this time Helen (voice of Holly Hunter) is in the spotlight, leaving Bob (voice of Craig T. Nelson) at home with Violet (voice of Sarah Vowell) and Dash (voice of Huck Milner) to navigate the day-to-day heroics of “normal” life. It’s a tough transition for everyone, made tougher by the fact that the family is still unaware of baby Jack-Jack’s emerging superpowers. When a new villain hatches a brilliant and dangerous plot, the family and Frozone (voice of Samuel L. Jackson) must find a way to work together again—which is easier said than done, even when they’re allIncredible. 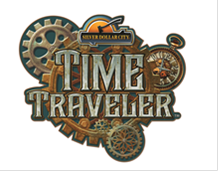 Time Traveler! I CANNOT WAIT!! On March 23, help Sherlock Gnomes find Gnomeo & Juliet! 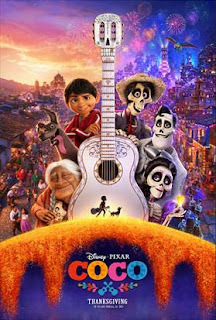 ABOUT THE MOVIE Despite his family’s baffling generations-old ban on music, Miguel (voice of newcomer Anthony Gonzalez) dreams of becoming an accomplished musician like his idol, Ernesto de la Cruz (voice of Benjamin Bratt). Desperate to prove his talent, Miguel finds himself in the stunning and colorful Land of the Dead following a mysterious chain of events. Along the way, he meets charming trickster Hector (voice of Gael García Bernal), and together, they set off on an extraordinary journey to unlock the real story behind Miguel's family history. I am so excited to say that Marvel Studios’THOR: RAGNAROKis now playing in theatres everywhere! It’s the best reviewed Marvel movie of all time and once you see it you will know why! 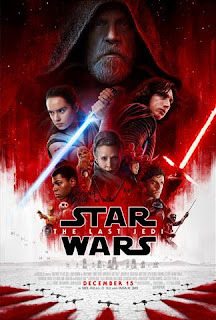 STAR WARS: THE LAST JEDIopens in theatres everywhere December 15th! A Classic!! Disney Lion King!! I am so excited to share with you the below cast announcement for Director Jon Favreau’s new take on Disney’s 1994 classic animated filmTHE LION KING! BURBANK, Calif. (Nov. 1, 2017)– The all-star lineup for director Jon Favreau’s new take on Disney’s 1994 classic animated film “The Lion King” includes stars from the film, TV, theater and music arenas. Featuring pioneering filmmaking techniques, the film welcomes back to the big screen iconic characters that audiences have long treasured—but in a whole new way. From Disney Live Action, “The Lion King” is slated for U.S. theaters on July 19, 2019.